Why should you take a POS system backup? Like we’ve mentioned already in our article’s header, the reason why this should be treated with utmost importance is that, as you already know, sales data needs to be reported to government authorities and can also provide insight into your business. Now, just imagine that at the end of a very busy sales day, in the last 10 minutes of the work schedule, one of your POS systems breaks down. At first, you don’t know why, but you later discover with the help of the correct qualified personnel that the POS systems’s database is broken (due to various reasons, hardware or software) and you don’t have any POS system backups. In this scenario, the most likely outcome is that all of your sales data is lost. In order to avoid such a scenario, which we can safely call a catastrophe, we need to take care of our POS system’s data and implicitly its database. For this reason, taking POS system backups is the only way to keep your data safe along the day. How do you take POS system backup? Now since we’ve established the importance of this operation, let’s see how we can do this. We will continue to explore the situation in which your POS system’s database is a Microsoft RDBMS (relational database management system) or as most people know it, is powered by a version of SQL Server. 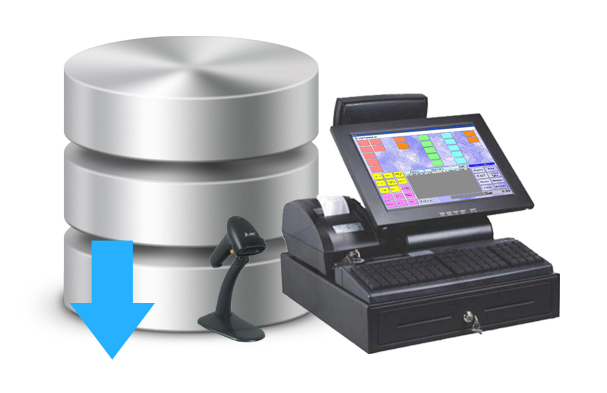 Depending on your exact configuration, each POS system might have its own database or it might be connected to a central database which holds all of the store’s sales data. In order to backup that database, you can safely use SqlBak. It is a small, unobtrusive program that you install on the machine where you have installed your SQL Server database (the same as your POS system or a central one). SqlBak’s system for POS system backups will allow you to remotely view which databases are working and as well as do remote backups and remote restores of the database from any browser and from anywhere around the world! In the below video you can see what steps you need to take in order to safely install and a few guidelines as to how you would use SqlBak. But SqlBak is not limited to only doing a POS system backup, you can use it for backing up any SQL Server database!